A good pressure gauge will definitely allow you to have a smoother, more comfortable drive. Having the optimal air pressure in your tires will keep them from damage and increase your fuel efficiency. Using under-inflated tires will lead to higher fuel consumption and will deteriorate the tires quicker. Checking your tire pressure constantly and adjusting it accordingly will make your vehicle safer and easier to drive. The best tire pressure gauge will allow you to make quick and precise adjustments in a really short time. Learn how to use a pressure gauge and which model is the right one for you by reading the following tire pressure gauge reviews and the buying guide. Dans Auto’s tire pressure gauge was designed to make inflating and deflating your tires easy and accessible for everybody, not just professionals. This model is highly accurate. It was tested and rated by the ANSI Standards before reaching the market and it should provide correct, accurate values every time you use it. 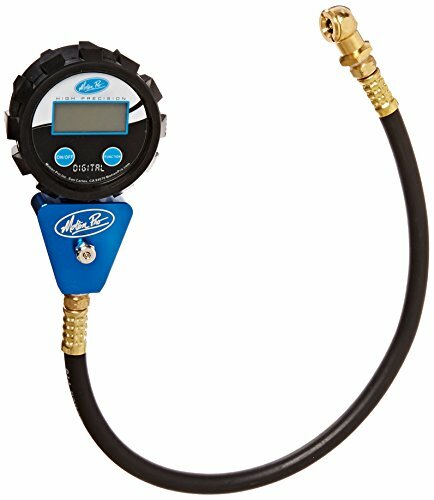 This product uses an analog pressure gauge that’s able to rotate 360 degrees for easier and quicker handling. This tool is highly reliable. The outer casing is made out of a military grade rubber casing. The air hose is 17 inches long. The box also contains two additional tire chucks made out of metal, which are suitable for SUVs and Motorbikes. The analog display is 2.5 inches wide and allows for quick and easy readings of the tire pressure. The display will hold the pressure value until you manually deflate it back to zero, so you don’t have to worry about forgetting the values. In order to better preserve the display, Dans Auto’s engineers filled the dial with liquid glycerol. This way moisture can’t penetrate it and just can’t affect it. This model comes with an eBook you can use to find out the right tire pressure for your vehicle in different driving conditions. Motion Pro’s tire pressure gauge is able to make highly precise measurements, with a maximum error of +/- 0.6 psi. The readout is digital and is accurate up to 0.1 psi. This model is capable of doing a continuous pressure reading, without having to reset when you activate the bleed valve. The digital reader is able to change the scales from PSI to Kg/Cm2, kPa, or BAR. The display is large and the values are easy to read. The display also has a backlight which makes it easier to read in low light conditions. 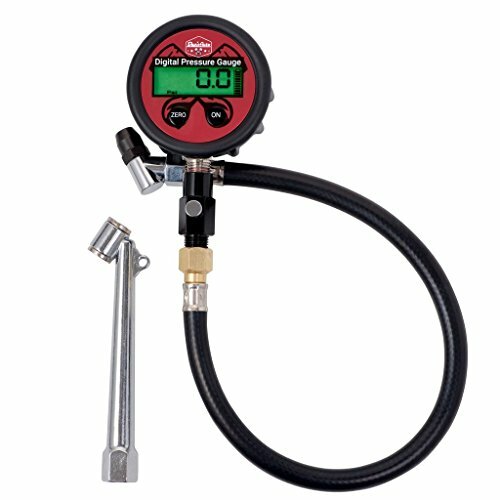 This pressure gauge is able to read values between 0 and 60 psi. The body is made out of anodized billet aluminum increasing the overall durability. A slight disadvantage of this model is its large size. You may need to hold the top straight while you get the valve stem lined up which might be tricky for some. An advantage is the good quality construction and the easy-to-use bleed valve. You will be able to use this pressure gauge even if you didn’t use one before. The values are easy to read and you can change the scale so it will fit all needs. 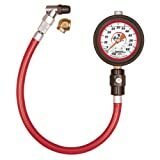 Dans Auto Tire Gauge designed this pressure gauge to be easy to use by both amateurs and professionals. This model features a large 2.5 inch LCD viewing window that allows superior readability in any type of light condition. The digital reader allows you to change between four pressure units, so you’ll be able to read the values in PSI, BAR, Kg/Cm 2, or kPa. This digital pressure gauge was built to last. The body is made out of high-quality stainless steel and military-grade rubber. You will be able to use it frequently for years in any type of conditions. The hose and the chuck are able to rotate 360 degrees for easier handling. 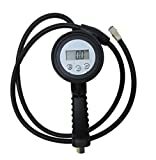 The tire gauge holds the tire pressure and has a button release for easier reading in any light condition. The chunk is variable and can be used on cars, trucks, vans, jeeps, RVs, and even buses. The gauges used passed multiple tests at values as high as 300 PSI. It will prove suitable for all types of vehicles, including trucks, but not for bicycles. Every model comes with an eBook on Tire Pressure that helps with choosing the right pressure for your vehicle. Another great feature is the lifetime Guarantee. PMT’s tire pressure gauge was designed with professionals in mind, but the product is so easy to use that even newbies will have no problems with it. The body is made out of stainless steel and thick rubber for heavy duty use. The hose is 59 inches long, so you can move around with it, without having to move the whole compressor or having to kneel. The digital reader is able to measure from 5 to 150 PSI in 0.5 increments. You will also be able to change the measuring units from PSI to BAR, Kg/Cm2, or kPa if needed. The reader has a large LCD display. It’s important to remember to turn on the gauge before you connect to the tire valve. The LCD screen will offer easy-to-read values and has a backlight for easier interpretation in poor light conditions. The reader has three buttons you can use. One is for turning it on and to change the measurement units, one is for turning it off, while the third is used to light up the screen. The accuracy of the reader is +/- 1%. 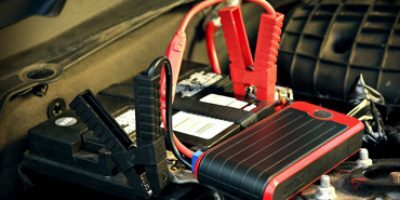 The reader uses Lithium batteries that have a 140 hours lifetime. Longacre’s tire pressure gauge is able to make accurate readings up to 60 psi. This model uses an analog display that’s 2.5 inches wide. The display shows the pressure values up to 60 PSI with increments every 0.5 lbs. 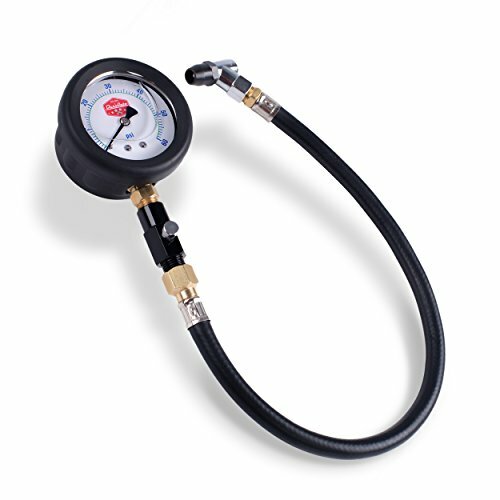 The pressure gauge is extremely accurate and the large dial makes the values very easy to read. The gauge is filled with oil, so it will be able to take shocks and sudden pressure changes well, without losing its calibration. The gauge is made out of sturdy, heavy plastic. The face is able to glow in the dark, a feature you will find surprisingly useful, even though it seems not at first glance. This feature will allow you to check and change your tire’s air pressure in all type of light conditions, with only a short charging time. The rubber hose seems very sturdy and flexible. The thick rubber will protect from kinking. The bleed valve will make reducing pressure in small increments an easy feat. A great feature for this model is the temperature equalization screw. This will allow the internal temperature to match the one outside, so there’s no pressure difference between the two. This feature makes this tool very precise and accurate. 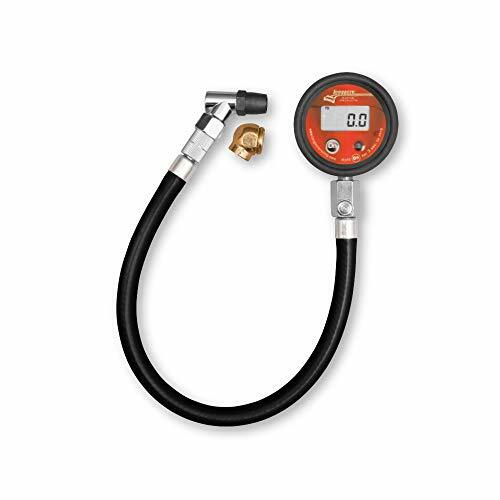 Longacre’s 53006 tire pressure gauge will accurately measure any pressure between 0 to 60 PSI. This gauge will be a perfect fit for all tires that use a Schrader valve. It is very easy to use and operate. This model will read all the values in real time. This might be a disadvantage for some, who like a reader that will hold the position for a while after measuring. The swivel head is really tight. 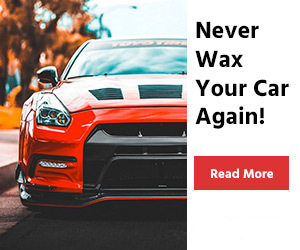 It will not leak once you connect it to the valve stem. The pressure gauge is very sensitive. Even though the reading increments rise from .2 to .2, you’ll be able to make accurate readings. This model’s accuracy rate is +/- .8%. The LCD display has a diameter of 2 inches. The pressure values are easy to read. Because this display comes with a green backlight, you’ll be able to make accurate readings even in poor light conditions. This model is easily zeroed. 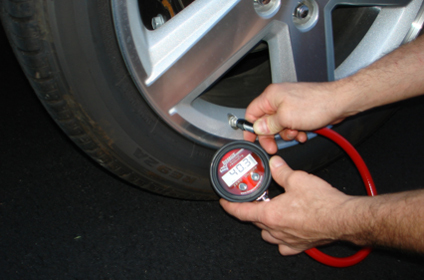 Once you decide you want to measure your tire’s pressure, press and hold the On button for 3 seconds. After you zero the pressure gauge, connect it to your tire to make the reading. Very easy to use. 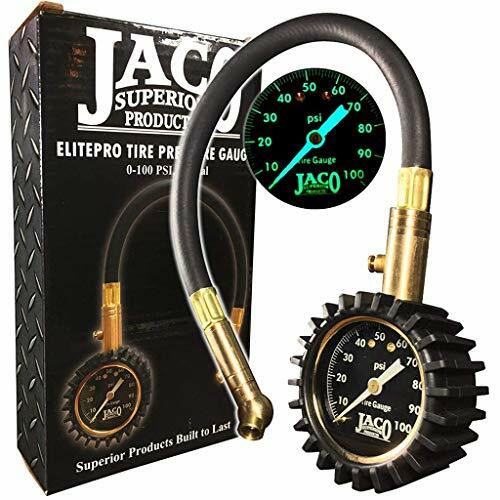 JACO’s pressure gauge was tested and certified by ANSI, the International Accuracy Standards agency, ensuring you’ll receive only the most precise tire pressure readers. This model uses an analog display to make quick and accurate readings without needing any batteries. The body is made out of heavy-duty steel and brass for superior durability. The gauge is enveloped and shielded by a rugged, thick gear-style protective guard made out of high-quality rubber. The air hose is made out of a flexible, no leak rubber which will enable you to check the tire pressure easier than ever. This robust design features a built-in air bleeder valve. You can use this valve to reduce the pressure in over-inflated tires. The swivel chuck is able to rotate 360 degrees. This will enable you to use the gauge and access the tire valve from almost any angle you can imagine. The dial is 2 inches wide. You’ll be able to use it to read pressures up to 100 PSI in single increments. All the increments are designed to glow in the dark, allowing you to make accurate readings even in the lowest light conditions. After a reading is made, the dial will lock the value in place until you manually push the reset button. This will prove to be a valuable feature because you won’t need to remember any of the values. The right tire pressure will make for smoother, superior vehicle performance and will improve your handling. This will make your driving experience safer and more enjoyable. Driving a vehicle with underinflated tires increases the risk of tire failure. Avoid that by regularly checking your tire pressure. Air pressure varies in heat and cold conditions. Make sure you have the right pressure before you drive in extreme conditions. This model comes with some great features. The first one worth mentioning should be the bleed down/reset valve. For example, when you use a digital gauge, you need to take a reading, pump up the tire to the desired pressure level, take a reading, bleed off the extra pressure and take another reading. You have to repeat this process if necessary. When you use the Jayco, you only need to take the first reading, pump up the tire and bleed down the excess. That’s it, the whole process is complete. Another feature worth mentioning is the chuck’s ability to make a good seal around the stem. This is very important in a pressure gauge because if the chuck does not make good contact with the stem, air will leak. Air leaks lead to several problems. The first one is not knowing exactly what your initial tire pressure was. The second is that you have to estimate how much you need to bleed off any excess because some of the air will escape before you remove the gauge. Other features worth mentioning are the large display dial. You will be able to read the values with ease and because they glow in the dark, you’ll be able to do it even in poor light conditions. The swivel is capable of fully rotate around its axis. This will prove to be a great feature because you’ll be able to position the unit easily. 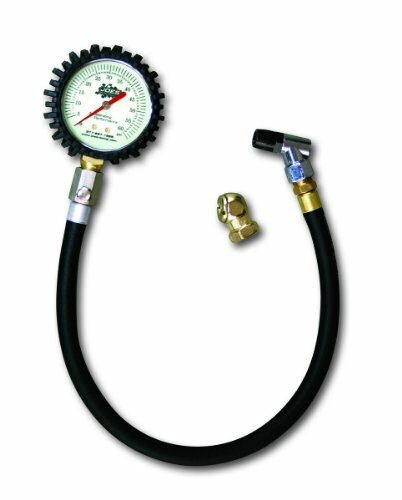 TireTek’s tire pressure gauge is calibrated to fit into ANSI’s Grade B international accuracy standard. This ensures your reading will be accurate with a reading error of only +/-2%. This model’s body is made out of steel. The chuck tip is extended and measures 5 mm. This extra length produces a great seal around your tire’s stem, protecting against air leakage. This tool has a robust design. It’s made out of durable steel and it also has a thick rubber cover that protects it from drops. The hose is reinforced with rubber, as well. The pressure gauge is very easy to use. The nozzle is able to rotate a full 360 degrees around its axis, making it easy to use from various angles. The display is large so you’ll be able to read the scale with ease. This model has a pressure holding function that shows the reading on the display until you manually release the pressure. The swivel chuck used by this gauge will fit cars, motorcycles, bikes, trucks, SUVs, ATVs, and even RVs. This model uses an analogical display and a mechanical gauge, so you’ll be able to make accurate pressure readings without having to use any batteries. The 2-inch wide display – it allows you to read the values without any kind of difficulty. The contrast between the background and the increments make the reading easier than on most models. 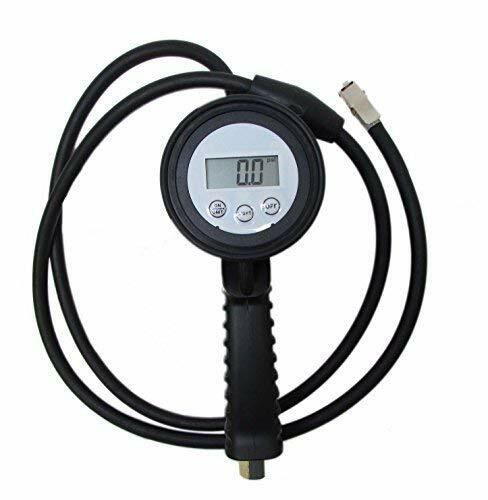 0 – 60 PSI measurement range – This range will be perfect for any vehicle model, motorcycles included. Durable rubber hose – the rubber hose will cover the valve stem so no air will leak. Mechanical gauge – The gauge will perform accurately and reliably for many years without using batteries. Rubber cover – The rubber cover will protect the gauge from harm. The rubber is thick and has a tire-like design. Small and compact – This model has a small design. You’ll be able to store it almost anywhere, even in your glove pocket if you want to. This way, you’ll be able to take it with you at all times. The only slight disadvantage we could find for this pressure gauge is the short air hose. You will have to kneel or bend over to make a reading. Joes Racing’s pressure gauge was designed to meet all of the criteria a professional might demand, but to be used by amateurs as well. 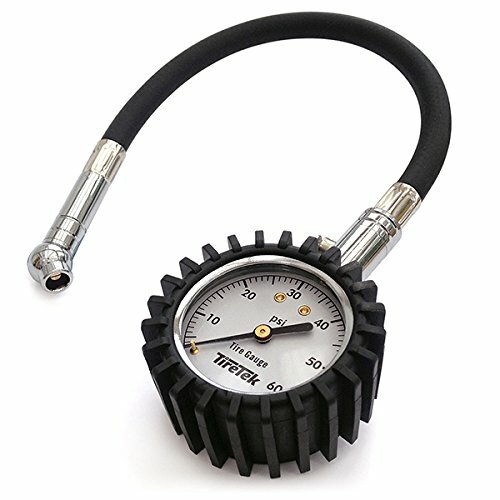 This gauge will be reliable for pressures between 0 – 60 PSI. This pressure gauge uses an analogical display to measure the pressure. The display uses easy to read glow in the dark increments that increase by one pound from 0 to 60, with reference numbers every 5 increments. The glow in the dark increments will allow you to check and adjust the tire pressure in low-light conditions with only a short loading period. This model is able to make reliable and accurate readings without using any batteries. Unfortunately, it does not have a hold function, so you don’t have the possibility to read the value after you measure it but only in real time. Real-time reading is not difficult, but you have to keep in mind the original value. The tool’s accuracy is +/- 3%. The box the tool comes in contains both an angled and a ball chuck, so you’ll be able to fit the 17” hose in the valve stem from different angles. A slight disadvantage of this model is its large size. It’s bigger than some other models. 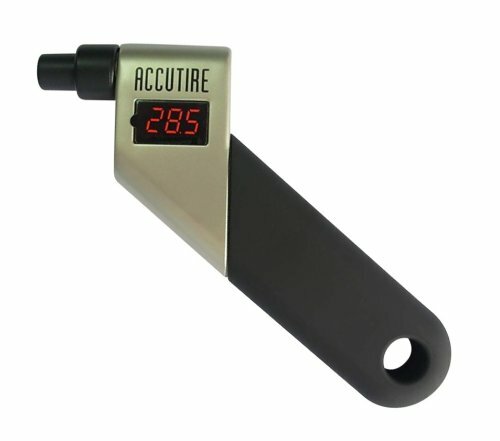 Accutire’s MS-4021B pressure gauge is very precise and easy to use. The gauge has a heavy duty construction and a durable appearance. It also has a thick rubber cover so it can withstand some falls and hits, ensuring a long lasting use. 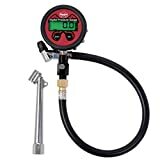 This pressure gauge has a rubber coated handle for an improved grip and uses an angled chuck, so you’ll be able to make the reading with ease. This model is able to read air pressure between 5 – 150 PSI. The reading is accurate to within 0.05 PSI and increases in 0.5-pound increments. The LCD display is easy to read and all the values appear in large numbers on the display. The tool also uses an automatic shut down feature, so if you forget to turn it off, it will automatically do, so it will save the batteries’ life. The display has a backlight you can use to read the air pressure in low light conditions. A great feature of this model is the LCD display. All digital pressure gauges have this kind of display, but Accutire’s is the best by far. The display will light brightly and you will find it easy to see and read even in bright ambient light, let alone at night. Having the proper tire pressure is essential for safety and your driving experience. Keeping your tires properly inflated is an easy chore everybody can do within 10 minutes or so. If your tires are under-inflated, they are prone to heating. Driving with hot tires can lead to tire failure and you’ll have to change your tires quicker than you expected. Tires with too little pressure will wear out faster and unevenly. This leads to steering and braking problems. 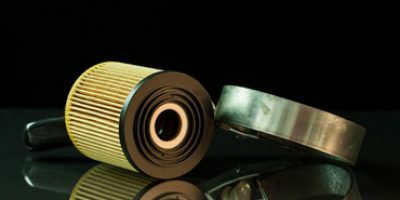 Another side effect is that your car will start consuming more fuel than it should. The best tire pressure gauge will be able to accurately read your tire pressure and adjust it without wasting your time. Read the following buying guide to find out all there is to know about pressure gauges and which is the perfect model for you. The right pressure will greatly improve the handling of your vehicle. If you drive your vehicle with under-inflated tires, your handling will not be accurate. You will under or oversteer at every turn in the road. A good pressure gauge will ensure you will always have the perfect amount of road conditions. The usually recommended tire pressure is somewhere between 30 and 35 PSI. Each manufacturer has a recommended pressure, so make sure you check it before filling your tire or taking the air out. – Judging by the way they work, there are more types of tire pressure gauges. Some of them are digital, working on batteries, while others are analogical, and don’t need batteries. Each kind has advantages and disadvantages, so you need to know which one is best for you. – They have an LCD display that shows the pressure value in your tire, much like a digital watch or calculator. This makes them very easy to read. Most of them have a backlight you can use to read the pressure value in low light conditions. Even though they need batteries to be operated, you’ll only need to change them after some years or so, depending on how often you use the tool. What points the digital gauges lose because they need batteries, they compensate with their durability and resistance to dust, rust, and dirt. – These were the first pressure gauges developed, and they are still in use today because they’re accurate and reliable. These models use a dial resembling a clock to indicate the pressure in your tire. Most analogical gauges have more features than the digital ones, but even so, they are not necessarily more accurate. – If you want to measure the pressure in your tires, make sure they are cold. You should have your car parked for at least four or five hours before you measure the pressure. Keep in mind that the temperature difference between the ambient and the measuring tool will lead to a slight increase in pressure if it’s warm and a slight decrease if it’s cold, so the results will be different if you measure the pressure outside or inside a garage. Also, you might be tempted to keep the pressure gauge in the glove compartment or in the trunk of your car, but you shouldn’t. It will be better to keep the measuring tool at room temperature, not somewhere the temperatures oscillate. – All tires will lose pressure over time, even if you don’t drive the car, even if the tire is your spare and you did not use it. When a tire is mounted, most of the pressure loss will come from the air migrating through the sidewall, not through the valve. – A tire that’s inflated to 32 PSI when it’s unmounted will keep almost the same pressure when all the car’s weight sits over it. – If you want to check the pressure in your tires, you need to know which is the recommended value. You can find this value on a sticker or on a placard in the glove compartment, on the fuel filler’s door, or on the driver’s side doorjamb. If you have the vehicle’s owner’s manual, you might find the values there. After you find the values, check to see if your tires need filling or deflating. Do not use the pressure value printed on the side of the tire. – You should check your air pressure once every 30 days on the car you regularly use. If you don’t use the car regularly, check it every time you take it for a drive. You should also check the air pressure if the temperature falls or rises more than 10 degrees Celsius. Every time the temperature rises, the pressure will slightly increase. Every time the temperature drops, it will also drop. You may also like to check On-/Off-road all-terrain tires and all-season tires for great performance all year long. Checking your tire’s pressure should not take more than a few minutes at a time, even if you haven’t done it before. Here’s how you should do it. The first step you should make is the most obvious one. You need to buy a pressure gauge. Some people argue that they can find pressure gauges at most gas stations and that a personal one is not needed. This is very far from the truth. The pressure gauges in gas stations withstand both hot and cold weather all year round, and most clients using them drop them without thinking twice about it, so you might say they’re not really well calibrated. Find out the recommended pressure values for your front and back tires. You can find the values in the glove compartment, on the fuel filler’s door, or in the driver’s side doorjamb. Remove the screw-off cap from the tire’s inflation valve. Make sure you place the caps somewhere you’ll remember, so you don’t lose them. Place the end of the pressure gauge in the inflation valve and depress it. View the pressure reading. If the pressure is correct, put the cap back on. Remember that front tires usually have different pressure settings than the back ones. If your tire pressure values are lower than those recommended, you will need to fill up the difference. If you don’t own a compressor, you don’t need to buy one if you don’t want to. The only thing you need to do is to drive to the nearest gas station and connect your personal pressure gauge to their air-pressure hose. Remember you should not check the tire pressure when the tires are warm. If you have to drive to a gas station, make sure you let the wheels cool down before you read the tire pressure. If you have to make a long drive and you can’t wait three hours for the wheels to cool, you can adjust the values. This will not be as precise, but it’s still a highly reliable process. Just measure the pressure before you drive and when you reach the station and adjust accordingly. 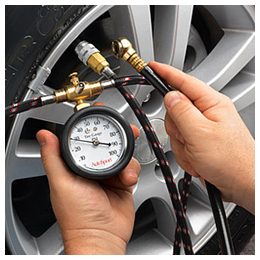 To add air, connect the pressure gauge to the compressor and then to the tire’s valve. Start adding air, and verify the pressure once again. If more air is needed, repeat the process. If the air pressure is too high, lower it by pressing the gauge in the valve to let air hiss out. Some gauges have prongs or valves that let you lower the pressure. Your usual pressure gauges work this way. When you apply the gauge on the valve stem, you form a seal between it and the valve stem. There is a pin inside the gauge that presses against a similar one in the valve stem. This will release the air from the tire into the pressure gauge. Inside the tube of the gauge, there is a piston similar to one inside a bicycle pump. When the air pushes against the piston, it pushes against a spring that runs across the whole length of the tube, compressing it. A rubber seal prevents the compressed air from escaping the tube. This compressed air pushes on the spring and compresses it further and further. If the pressure gauge is limited to 60 PSI, the spring fully compressed will turn a calibrated rod to turn the valve on the analog or digital display to indicate 60. When the spring is half compressed, it will indicate 30 PSI, and so on. When the air moves the piston, the piston moves the spring, which in turn act upon the calibrated rod to indicate a specific value. This is the basic principle for all kinds of pressure gauges, no matter their manufacturer. We also have selected the best torque wrenches and tire inflators for you! Owning and using a pressure gauge will improve your driving experience and will prolong the life of your car and its parts, especially its tires. Keeping the air pressure at an optimum level will extend your tires’ life and increase your vehicle’s fuel efficiency. Your car will perform better with the right air pressure and will make every drive safer for you and your family. The best tire pressure gauge will enable you to make small, precise adjustments with ease in a very short time. Choosing the right gauge is difficult, so make sure you read the reading guide and the tire pressure gauge reviews to make an informed decision.